Born February 25, 1948 in Twin Falls, Idaho. He left this earth for eternity on August 14, 2017 in Gilroy, CA. He was the youngest of 11 children to George and Lucille Hale. Leonard was a kind, loving father, grandfather, son, brother and friend. He graduated from Molalla Union High School in 1966, where he was Senior Class President and played football and wrestled. After graduation he attended Brigham Young University. In October 1967, he served a 2 year mission for the Church of Jesus Christ of Latter-day Saints in the Copenhagen, Denmark Mission. While serving there, he had the blessing of saving the lives of two children from drowning in a canal. 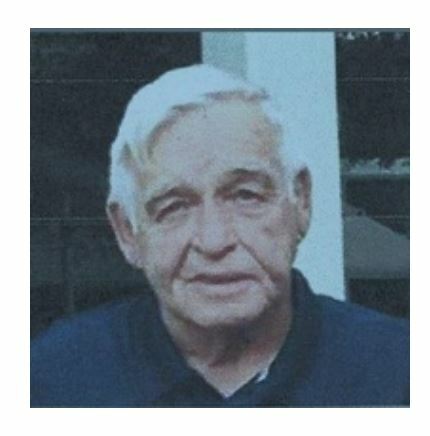 For the many years of his life, Leonard owned the "Diamond Advertising Co." in Gilroy, California, where he used his talents to print, design and make advertisement signs for various businesses. He served on the Gilroy City Council, and was also involved in other civic affairs. Leonard served as a board member, and as president of the "Gilroy Garlic Festival", which was his life for many years and he loved working with the festival . Matt Early (a dear friend) said about Leonard, "Friends like that are hard to find and there are few of them. When I give an eulogy for someone who has died, I normally say 'The world will have little care and soon forget most of us at our passing. The best we can hope for is that someone will say 'A good man has laid down his tools and gone to his eternal rest'. Leonard Hale was exactly that; a good man who has laid down his tools and gone to his rest. I am richer for having known him." Leonard is survived by his five children: Sherrie of California, Steven of San Diego, CA, Shawn (Tami) of Sacramento, CA; Shannon (Brad) of San Diego, CA; and Cameran of Hillsboro, Oregon. He has 15 grandchildren, who he absolutely loved and adored. He is also survived by his twin brother, Leland (Debbie) of Hooper, Utah; sister Marva (Stan) Tarter of Boise, Idaho; brother Frank Hale, of Blackfoot, Idaho; sister Arlene Gardner (Ron) of Blackfoot, Idaho; sister Ardis Walton of Shelley, Idaho, and Grant Bowen (brother-in-law) of Rigby, Idaho, as well as many nieces and nephews. He is preceded in death by Shane (grandson), his parents (George and Lucille Hale); five siblings Melvin Hale, Rullen Hale, Keith Hale, (twins) Sherman Hale and sister Shirley Bowen, Brother-in-law Don Walton, and a niece Pamela Walton. Internment will take place at the Springfield-Sterling Cemetery, in Springfield, Idaho on August 25, 2017. In lieu of flowers being sent, donations can be made in behalf of Leonard Hale to the Gilroy Garlic Festival at: Gilroy Garlic Festival Association, PO Box 2311, Gilroy, CA 95021. The Family would like to thank all of those who worked with Leonard in the hospital and helped him in so many ways. We appreciate each of you. Life should NOT be a journey to the grave with the intention of arriving safely in an attractive and well preserved body; but rather to skid in sideways, chocolate in one hand, bowl of ice cream in the other, body thoroughly used up, totally worn out and screaming --­ "WHOO-HOO WHAT A RIDE!!!!"